Time is running out for Tigers fans to take advantage of our best price match tickets for the upcoming derby day fixtures against Wasps (Saturday, March 2, 3.00pm) and Northampton Saints (Friday, March 22, 7.45pm). 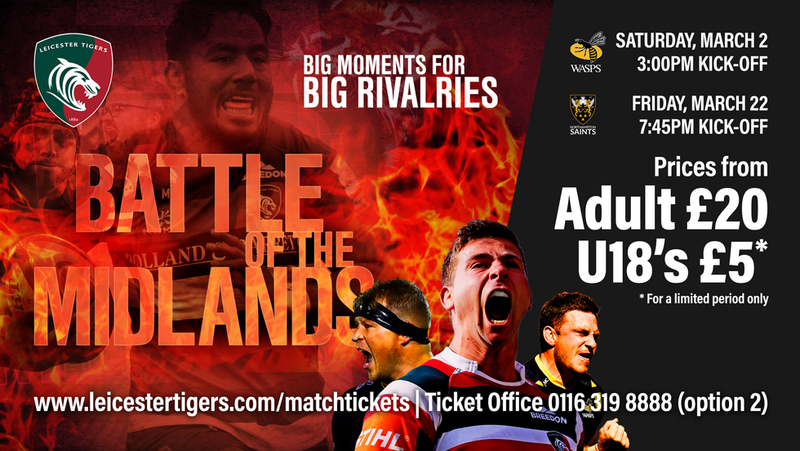 Match tickets cost just £25 adults and £10 U18’s for Wasps and £20 adults and £5 U18’s for selected areas for the visit of the club’s Midlands rivals. Ticket prices will be increased as of 10.00am on Monday, January 21, so be sure to buy online or contact the Tigers ticket office over this weekend to take advantage of great savings. Wasps come to Welford Road in the first of our two ‘Battle of the Midlands’ derby fixtures with local rivals Northampton Saints making the trip up the M1. 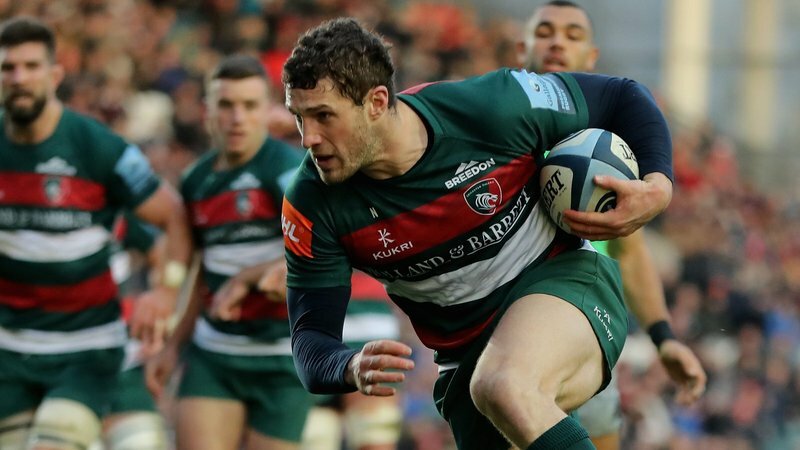 There will be plenty going on for fans to enjoy at both games with Friday night’s game against Saints played under the Welford Road floodlights. Ticket prices will be going up to the below prices. 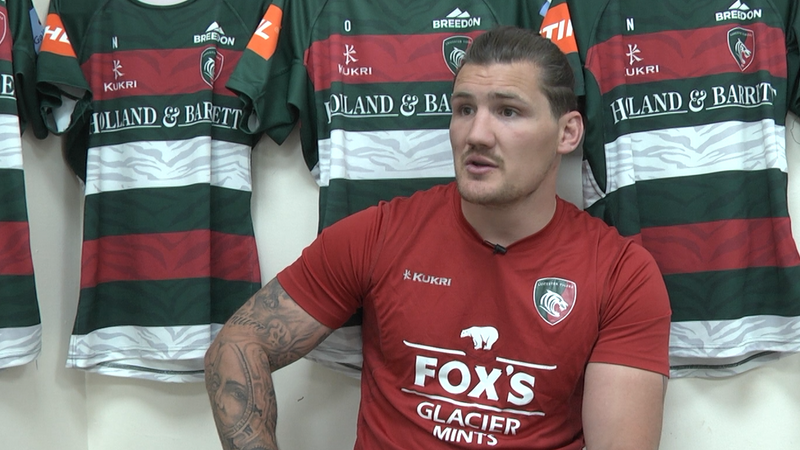 The countdown is on, so hit the link below or visit the Leicester Tigers ticket office tomorrow from 9.00am and after the full-time whistle or by calling 0116 319 8888 (option 2).